My brother and I in the backyard. Fairly sure the kit was a Pearl. 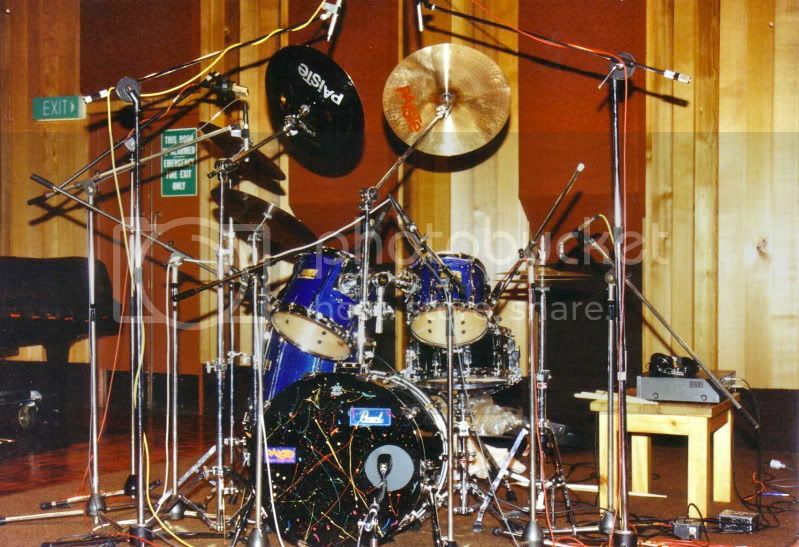 Whatever it was, the floor tom was pre-international, meaning it needed calf heads. Ouch. My poor mother. 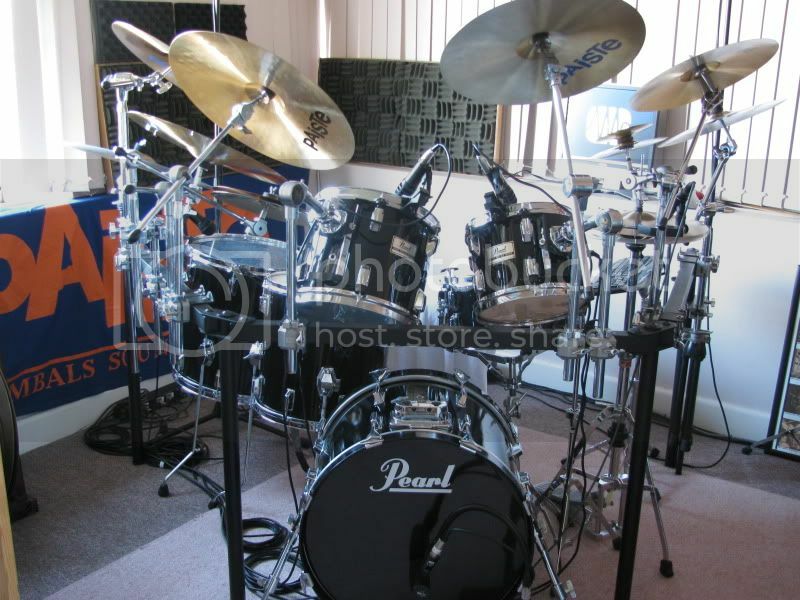 Pearl was founded by Katsumi Yanagisawa, who began manufacturing music stands on April 2, 1946, in Tokyo. 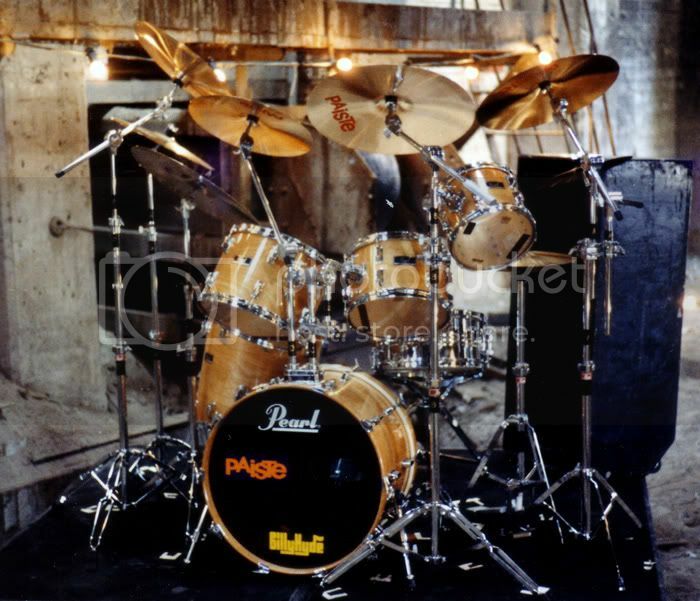 At one stage, Pearl made shells for 30 drum companies. So they have made literally millions of them. Yet the quality has been remarkably good. 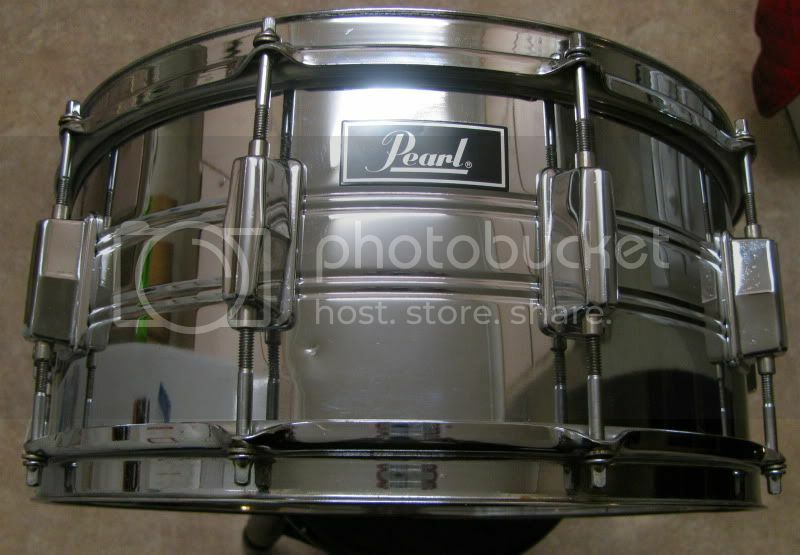 There is a strange sort of snobbishness with regard to Pearl drums amongst certain sections of the drum press. 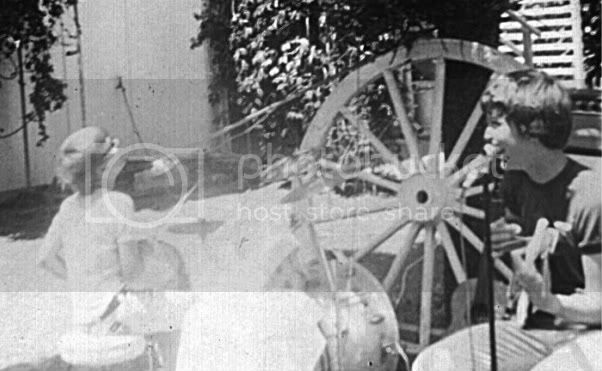 This might be because they were the first manufacturer of budget drums. Whatever it is, Pearl don’t seem to get the same kind of credit other Asian makers do. Yet they have a long and rich history making drums which sound good and last well. 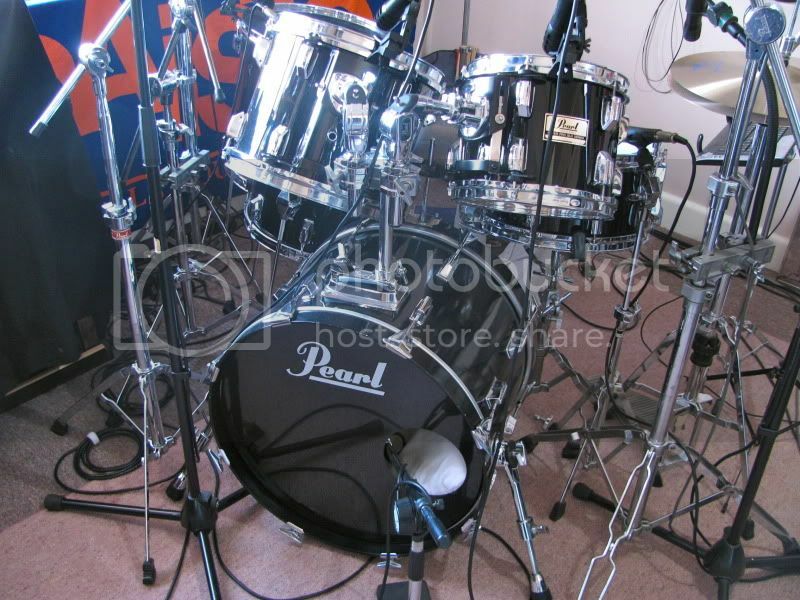 Some of my favourite drums; and drum sounds; have come from Pearl. When I started playing at The Musicians Club in Sydney, the profile of the gig meant that musicians came to see us play. 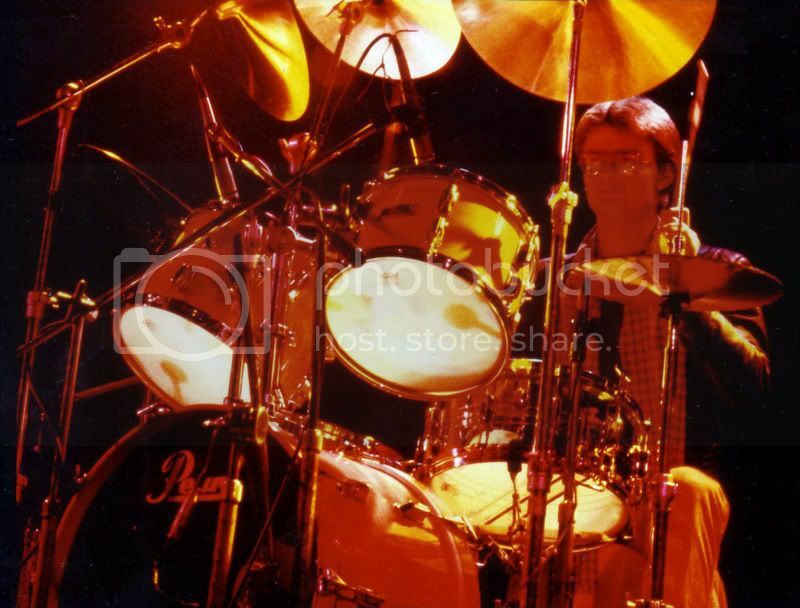 At the time, I was playing a collection of Rogers 9/72 shells, with Pearl hardware. Everyone liked Pearl hardware. I was already adjusting it myself to maximize resonance (with a hacksaw) but the great part was that the drums set up and stayed where they were supposed to. Soon I was offered a sponsorship with Pearl drums and Paiste cymbals, thanks to Mike Lynch at Billy Hydes in Norton Street Leichhardt. Many years later, on stage at The Musicians’s Club, Sydney with my new Pearl DLX kit. Pearl GLX SuperGripper (9500 series) Japan, 1985. 8 ply maple, shell, black piano finish (inside and out). 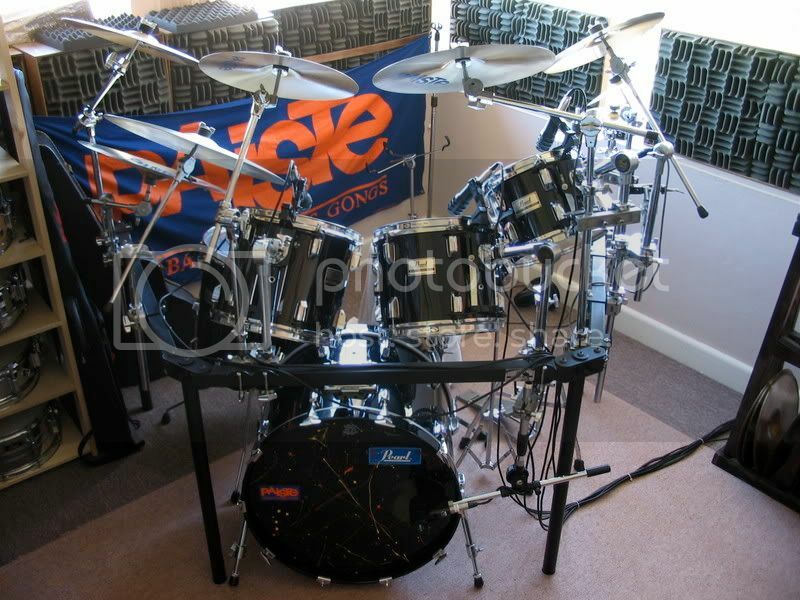 With 20″ MLX kick; 14″ DLX floor tom. Super Gripper GLX 14″ x 6 1/2″ maple snare drum. 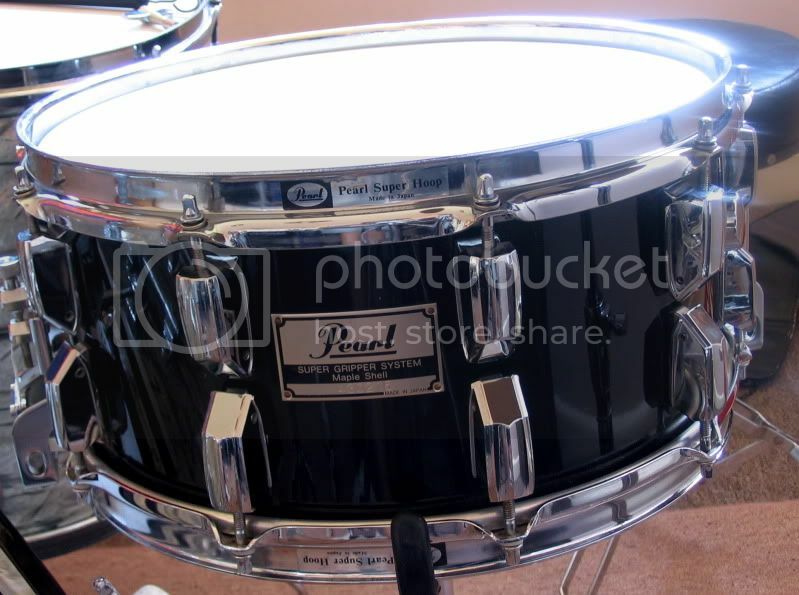 This snare was stolen from me and unbelievably, made it back home. Did the business for many years; 20/10/12/14.